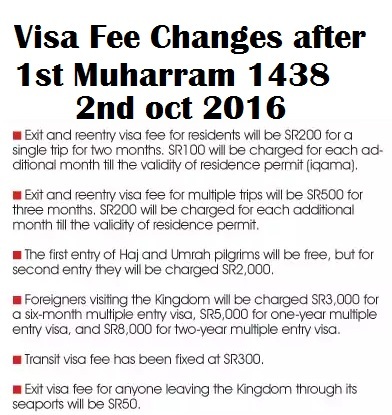 It is almost 6 days ago Just after starting of New hijri year on 1 Muharram new set of visa fee starts to effect. These changes were shocking to expats living in Saudi Arabia as these changes includes some major types of Visa which were exit re entry, multiple exit re entry and especially single exit re entry. 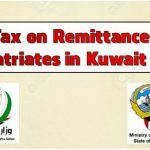 The fee of single entry changed to saudi riyal 2000 which is a major change as this visa applies to many form. The main thing which mostly worries expatriates is Family Visit visa Fee which is also a type of single entry and its fee also now become SR 2000. Many expatriates who afford the cost of living of their families usually bring their family on long term visit visa of 90 days but as the fee is increased it is now become difficult. My friend named Zafar Iqbal Jotoi is from Pakistan who work in Saudi Arabia in professional category and want to bring his family in Saudi Arabia on Visit Visa as soon as new Visa Fee initial announced on august 8 was made he tries to submit his application for visit visa but due to up coming hajj session in September his application is denied and he just wait for haj session to end. When the hajj session is ended he again applied for Family visit Visa Through Ministry of foreign affairs website but this time he applied so late almost 5 days before implementation of new single entry fee. He afraid that this might cost him sr 2000 for each family member but it happens opposites and he successfully get all family visit visa free of Charge. Now his family easily travel to Saudi Arabia within 30 days and stay in ksa until expiry of Visas. The main lesson is for those who did not read News daily as my friend constantly reading news paper as well as actively visit in social media pages of newspaper. He keep eye on news and apply for family visit visa hence avoid huge cost of Saudi Riyal 2000. Just I hope all Reader must keep an eye on Saudi news. As this is also possible in future that KSA make the visa fee lower and people buy visa on higher visa fee due unawareness of the changes at right time. Dear Mr, your friend family visa stamped from sudi embase (eitmad centre) ?? 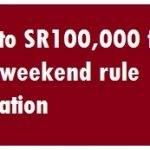 2000 sr pay in own country in eitmad centre, chech the site of eitmad. Any one can get family visit free of cost but they have to pay Rs 63000 per passport in Islamabad to get visa label. 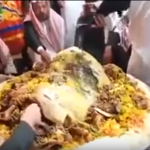 World Largest Food Wasting Country Guess Who? 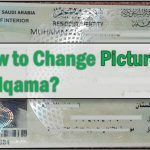 How to Change Picture on Iqama?